For nearly five years I have wanted to write something about the surrealist painter Emil Bafdescu: about his paintings, one of which hangs in a little restaurant in Melbourne, and about his disappearance, which is still a mystery. But this is probably not going to be the book I imagined. Nothing has quite worked out the way I planned. 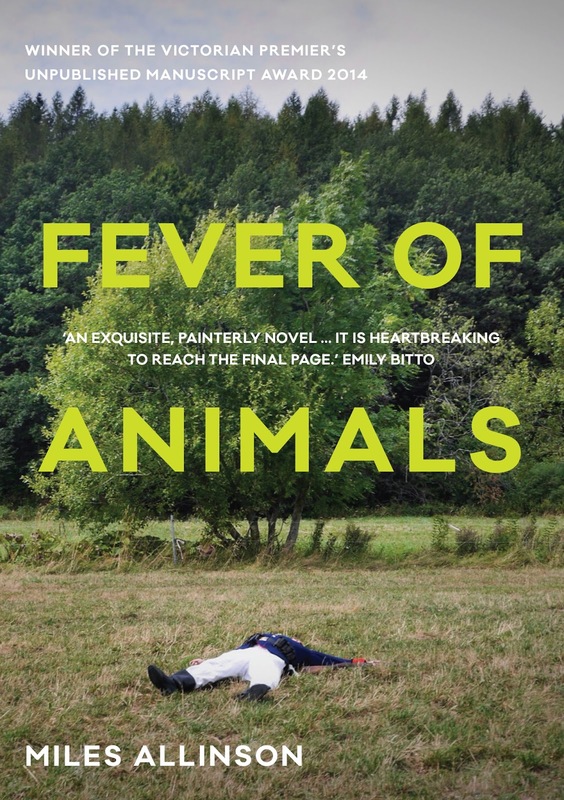 Uncanny, occasionally absurd, and utterly original, Fever of Animals is a beautifully written meditation on art and grief. Click here to read a FREE EXTRACT of Fever of Animals by Miles Allinson. Miles Allinson is a writer and an artist. He was born in Melbourne in 1981, and has a Bachelor of Creative Arts and a Postgraduate Diploma in Creative Writing from the University of Melbourne, as well as a Masters of Fine Arts (Art in Public Space) from RMIT. Fever of Animals is his first novel, and won the Victorian Premier's Literary Award for an Unpublished Manuscript in 2014. Excellent, thanks Mary and thanks for entering. Thanks for all your entries, this giveaway is now closed. Winner announced soon.